and thank you for your interest in Armada Mobile Disco & Dj Services. Our highly experienced Djs are guaranteed to get the party started. If you're looking for a professional, experienced and reliable Mobile Dj Hire Service that can cater for any occasion using the highest quality sound and lighting equipment, then you've come to the right place! We offer an unbeatable Mobile Disco Hire at a competitive price. 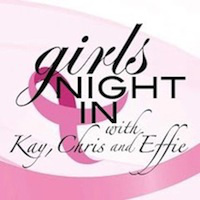 So if you're planning a Wedding Reception, Engagement Party, Birthday Party, Bar / Bat Mitzvah, School Formal, Debutante Ball, Sporting Club Event, Christmas Party, Corporate Event or Fundraiser then look no further. We cater for all suburbs in the Melbourne Metro, Mornington Peninsula and Yarra Valley areas. Our team is highly experienced and dedicated to providing you with the ultimate in entertainment for you and your guests. 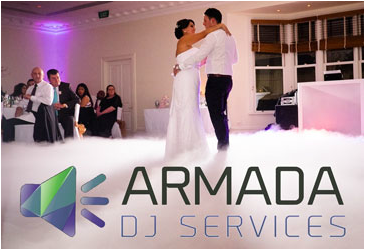 Armada Mobile Disco & Dj Services is customer focussed Dj Service based in Melbourne and run by myself; Ian Wagner. I have been a Dj since 1988 and consider myself to be fortunate to be earning a living at what I love to do for all these years. As with many passions that withstand the test of time, it's by no accident. 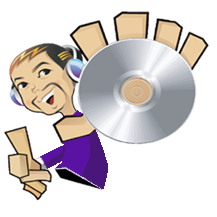 Hard work and a burning desire to get the crowd before you moving are the key ingredients of any successful Disc Jockey. Whether I'm at a Club, School Formal, Corporate Event or an intimate gathering with family and friends to celebrate a birthday or wedding, I bring all that experience, knowledge and passion with me. My Dj career has taken me from Melbourne to Sydney, Gold Coast, Brisbane and further beyond to Hong Kong, China, Thailand and Taiwan where I spent 5 years before settling back in Melbourne. During my time in Taiwan I helped build and shape some of the capitals most successful venues and was a resident Dj at Ministry of Sound (Taipei). There is also the musical journey to consider. Since the late eighties I've been following and playing nearly all the different musical genres as they have surfaced onto the music scene. The sound quality of my music is about the best you'll find. When you book with Armada Mobile Disco & Dj Services you get myself or one of our hand-picked experienced Dj's at your event. All of our Dj's have at least 10 years experience and have played in nightclubs and countless events like yours during their Dj careers. We pride ourselves on providing excellent levels of customer service and in making sure that the entertainment we provide is what YOU asked for. For more information, please feel free to explore the rest of this site or give us a call for a quote.